I would like help on a bowl in my possession. 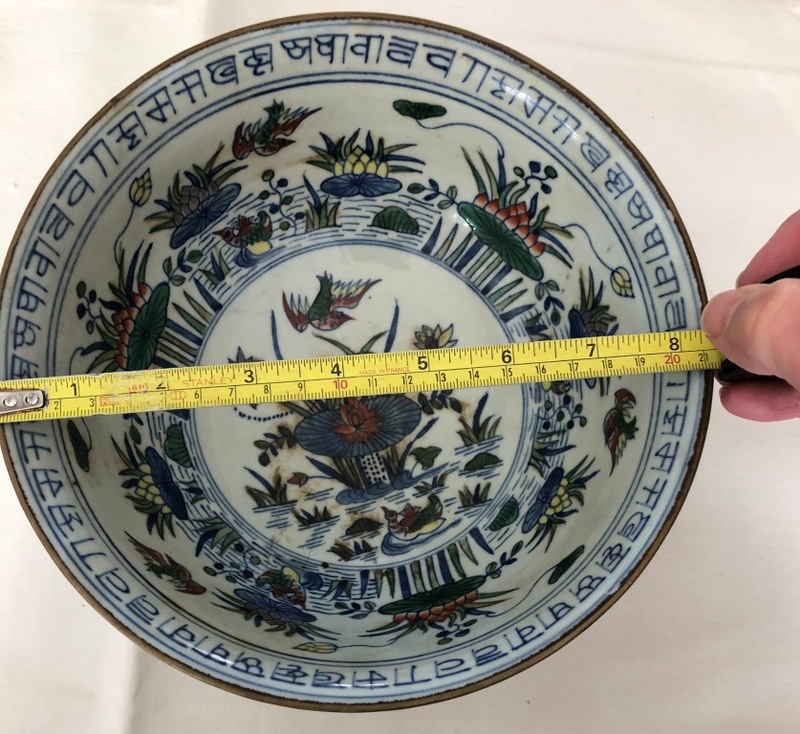 I have included some pictures of the bowl which shows what looks like an horizontal Ming Chenghua mark under the foot rim. The detailed drawings include lotus pond with ducks and birds. 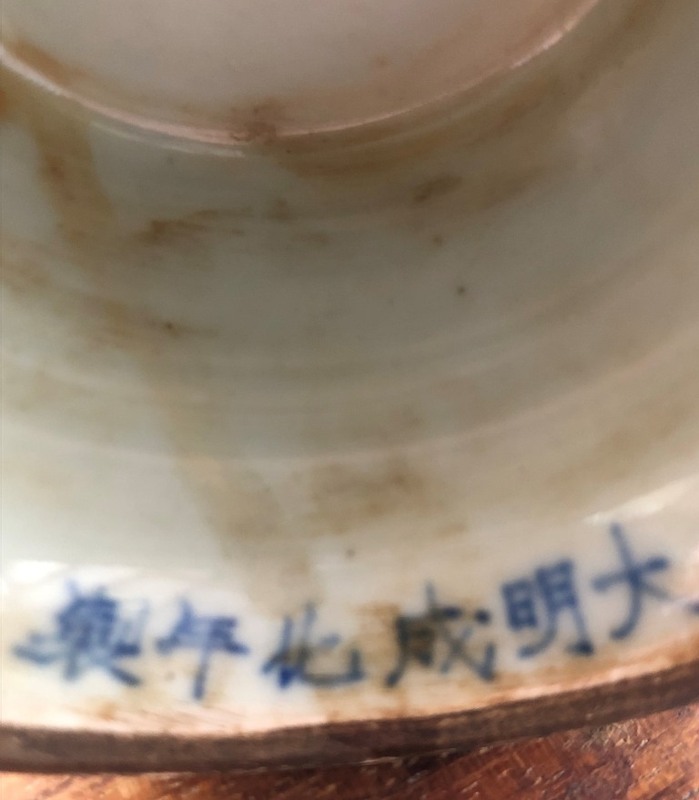 It shows the blue outline underglaze drawings with added slightly raised applied colored enamels. The upper outer and inner rims are circled by Lanca-like characters. Both the upper and lower rims have a band of brass-like metal. 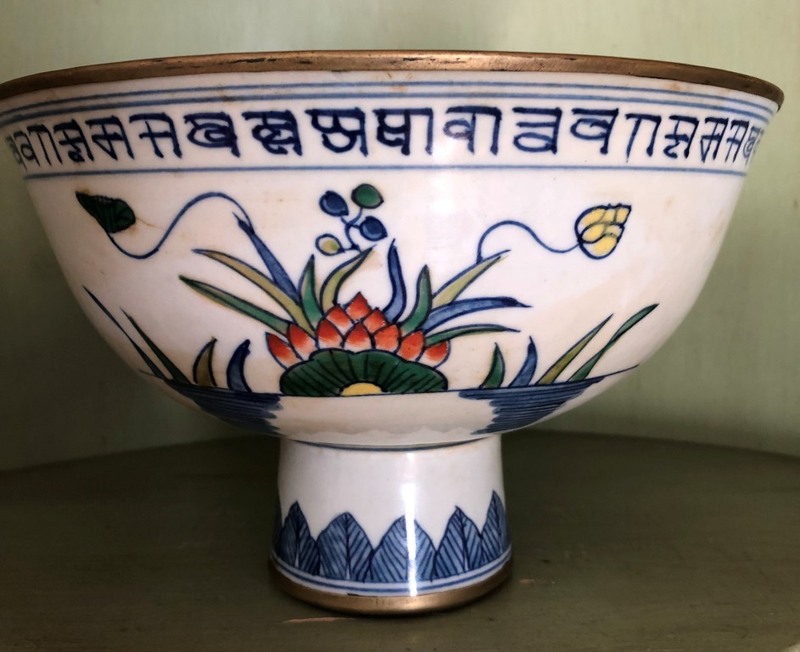 The bowl is about 21 cm wide and 14 cm high. Thank you.